First called Wakamne or Gods Lake by the Alexis Nakota Sioux Nation who live on the west end of the Lake and Manito Sahkahigan or Spirit Lake by the Cree, Lac St. Anne is the site of the annual Lac St. Anne Pilgrimage, one of the most unique and memorable spiritual gatherings in North America. 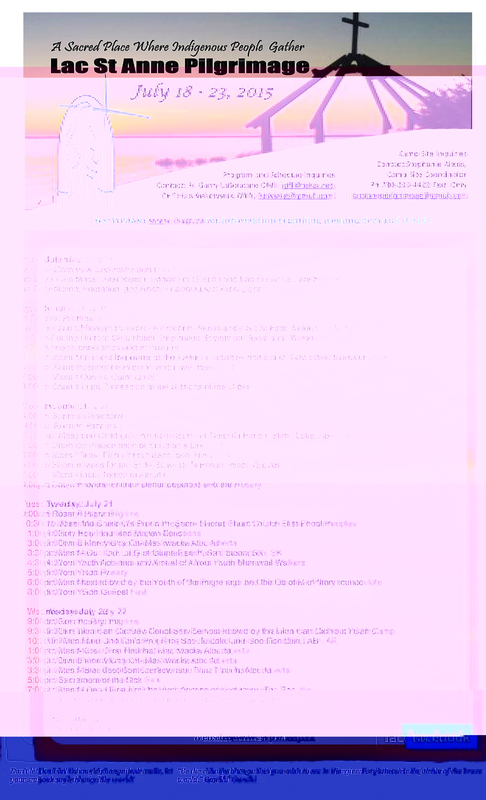 The Shrine and the Pilgrimage schedule is managed by LSAP Board. immediately evicted and not allowed to return for the rest of the pilgrimage. Anyone found coming back, after being evicted, will be charged with Trespassing. A long-established annual meeting place for Aboriginal peoples, this lake became a Catholic pilgrimage site in the late 19th century. Since 1889, First Nations and Métis people have travelled here in late July to celebrate the Feast of Saint Anne. This saint, widely revered as the mother of the Virgin Mary and the grandmother of Jesus, embodies the grandmother figure honoured in many Canadian Aboriginal societies. Lac Ste. Anne is an important place of spiritual, cultural and social rejuvenation, central aspects of traditional summer gatherings for indigenous peoples. In the past Native families, who in the fall had scattered to winter camps and trap lines, gathered in the summer for the buffalo hunt. First called Wakamne or Gods Lake by the Alexis Nakota Sioux Nation who live on the west end of the Lake and Manito Sahkahigan or Spirit Lake by the Cree, Lac St. Anne is the site of the annual Lac St. Anne Pilgrimage, one of the most unique and memorable spiritual gatherings in North America. The pilgrimage is especially close to the hearts of our many First Nations and Metis people who attend faithfully each year. Saint Anne is the mother of the Blessed Virgin Mary and the grandmother of Jesus. While not mentioned in the Bible, stories of Anne and her husband Joachim are found in early Christian writings. Devotion to St. Anne has been widespread throughout the world and many thousands of miraculous cures have been attributed to her wonder - working intercession. 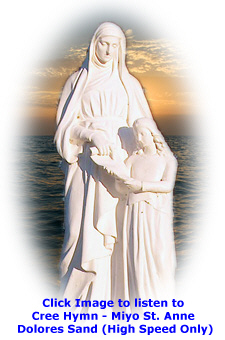 She is often portrayed with the child Mary at her side holding a book and teaching her to read . In 1876 Pope Pius IX declared her as the Patroness of Canada. 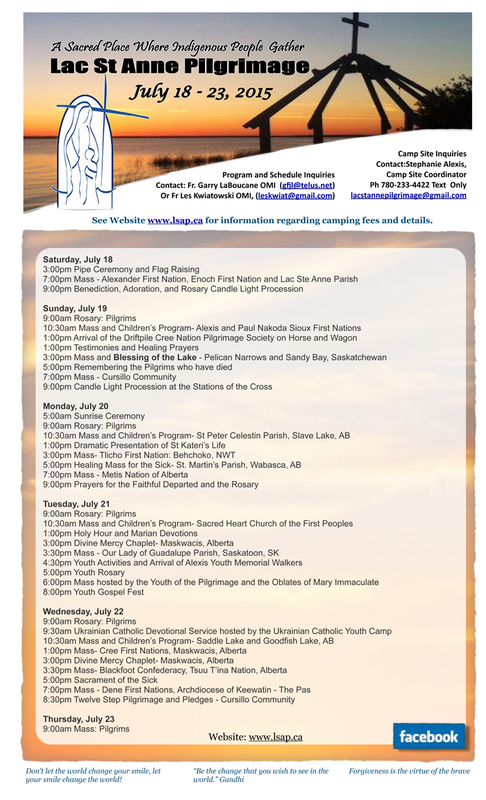 Where is the Lac St Anne Pilgrimage? Lac Ste. Anne in Alberta, Canada about 75 km north west of Edmonton. deeply rooted in Catholic Native tradition.